As we already know, Kirby is the sole surviving hero at the beginning of Super Smash Bros. Ultimate's "World of Light" adventure mode. However, in another twist, the Japanese title for World of Light hides a Kirby-themed easter egg. The name in Japanese is Tomoshibi no Hoshi (灯火の星). If you reverse the kanji and read its onyomi (original Chinese reading of Kanji used in Japanese), the reading becomes Hoshi no Ka-bi (星のカービィ). This is the name of Kirby's very own franchise and is a seemingly cool wink from series and Kirby father, Masahiro Sakurai. What do you think of this neat feature? Let us know in the comments below! Sakurai had to nerf Bayonetta just to give Kirby the spotlight. The bias here is strong. Heh. I would have called it 'Kirby Goes Bananas'. Love Kirby so much. Great to see the love runs deep for Sakurai too. Ever since playing Breath of the Wild I've wanted a 3D Kirby game in that sort of world. The screen cap from the cinematic that's been used for this article cranks that craving up by a factor of a thousand. Kirby has always been my favourite smash character! This single player mode seems actually very complex and a little RPG with battles. It actually makes me want to play! Great that kirby's getting the spotlight he deserves. Smash Bros is really just another Kirby series; all it took for us to realize it was literally everyone but Kirby dying. Call me a "vsbattler" but this is kinda good that Nintendo (or Sakurai at least) realises powerlevel of their characters, including the fact that Kirby is the strongest character of SSB. Thou, seeing MFTL Link was nice too. I'm still not over that lyric drop when Kirby landed after the explosion. I'm not usually an emotional man, but I actually wanted to cry tears of joy when I heard the theme start to play. @MH4 I wonder what all those people saying Mario is the main character think about this. @kopaka Lucario and Greninja dodge, Zelda couldn't couter it. Don't hire a guy to make sequels, who originally quit because he was tired of making sequels, and not expect him to do it his way. @Reigestugatensho Link has reflected 2 which is a record not including Kirby. But Mario wasn't shown, he's fast too. Sakurai: I want to make a new Kirby game. Nintendo: NO! Keep making Smash Bros! *kills everyone in Smash Bros Ultimate except Kirby in Adventure mode. @Kalmaro Take That nintendo Labo! also correct me if im wrong but where were the Miis in the cutscene?? @Reigestugatensho I know Kalmaro said this already, but not quite as odd as Snake hiding in the box. @-Green- Yeah, Bayonetta shouod have been able to survive the attack. She could go to hell and back and summon demons, the attack should have been just a piece of cake for her. He deserves tons of love after being so unbelievably awful in Melee. Yet another reason why Melee is my least favorite Smash. If you look at all kirbys powers, even the animation series of kirby at how powerful he actually is. It doesnt surprise me that he survived. Kirby is also an easy character to play with. i really love this storymode already. The map gives a RPG feel to it, and love it! Cant wait to fight those bosses and the final boss! I bet its not taboo but from the same kind (gods) also it gave me the same feeling as Avengers infinity war. Brilliant! Does everyone also know that the singer of the Japanese version is the same one in the Japanese anime? Last night I watched the Japanese Direct and was curious to see how they would title the mode in Japanese. 灯火の星 literally means 'world of (lamp)light" so the English translation was spot on. And the multilingual option is icing on the cake! We won't want for great games to play this winter!! @thesilverbrick Agreed though I think he's doing the fireball as his running attack again in Ultimate so he may have some Melee elements to him once more. Hated how that move used to carry me clear off the stage at times. @JayPley Same here. 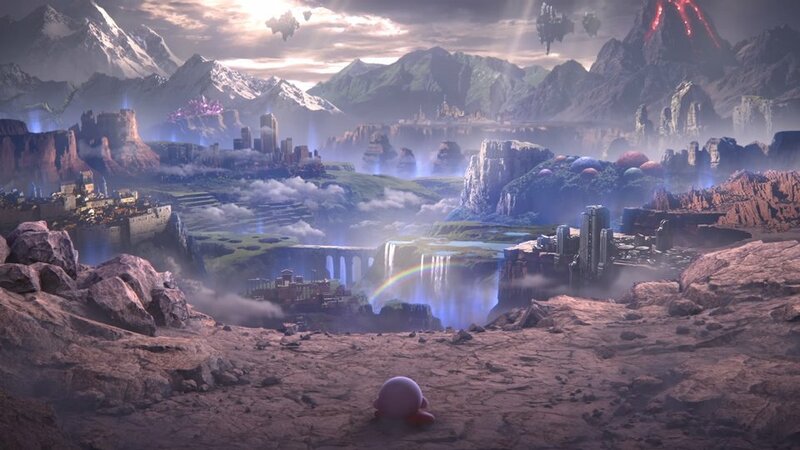 While I've got to say I get emotional from time to time, I loved the song, and the moment when a weak Kirby barely holding to his warp star falls into the barren land teared my heart. I'm loving this. I'm still holding back the tears. @Riderkicker His running fireball attack wasn’t the problem. It was his generally weak attacks, overall garbage approach options and awful air speed, all of which have been improved drastically since. Kirby is by no means top tier in Smash 4, but he was unusable in Melee, a game has always been too broken to be enjoyable for me. @Reigestugatensho Only roughly half the cast was in that cutscene. No Ness or Lucas, R.O.B., Mr. G&W, Miis, Jigglypuff, Daisy, Lucina, Roy, Chrom, Robin, Bowser Jr., Ridley, Luigi, Richter, Pac-Man, Cloud, etc. Rosalina, Charizard, Falco, Captain Falcon, Pikachu, Mewtwo, Princess Zelda, Kirby, Bowser, Mega Man, Samus, Mario, King K. Rool, Pit, Link, Shulk, Fox, Pokemon Trainer, Marth, Belmont, Palutena, Snake, Sonic, Inklings, King Dedede, Fit Trainer, Villager, Donkey Kong, Lucario, Greninja, Bayonetta, Dark Pit, Diddy Kong, Duck Hunt. Admittedly, it would have been rather epic to see them all there and watching all of them get turned into spirits. I can imagine Luigi maybe try to use poltergust to capture a beam, and Jigglypuff trying to sing the beam to sleep. That’s a name you should know! He’s the star of the show! He's more than you think! He's got maximum pink! Kirby, Kirby, Kirby's the one! @-Green- So what? It's his choice. @Teksetter The other fun word play is that 星 is also, literally "star". And of course stars are a key part of Kirby games (and Smash now.) I love how Japanese can take two words and depending on how you look at them it means 10 different things, and creators make sure they're all relevant. That has to add a month to development time right there. @BensonUii: Was that on YouTube? I recall seeing it somewhere as well. @mikegamer I know. Wasn't angry about it, just pointing it out. Actually, it’s the on-yomi of 火 (ka) mixed with one of the possible (inflected) kun-yomi readings of 灯 (hi/bi). Taking the on-yomi in both cases would give ‘ka-tou’, rather than anything resembling ‘Kirby’. This is the Time for are new story mode to unfold with everyone getting captured but KIRBY, this adventure starts off with KIRBY running around trying to find what happened. At that moment of Master/Maybe Crazy hands being summon they take all are characters to some place unexpected. The characters get a clone of themselves and KIRBY has to fight the clones to save are heroes, and to relieve their spirits. Each one you defeat you will get a new character from the clone of that character you just defeated. 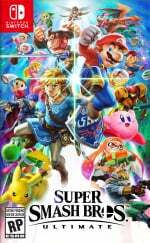 "So you start with Kirby and end with all the amazing characters"
(WILL THEY ADD ANY DLC CHARACTERS TO THE STORY MODE) LEAVE YOUR COMMENT DOWN BELOW IF YOU THINK SO IF NOT THEN THANK YOU FOR READING THIS. I totally agree! If Kirby had a last name, it would be "Hoshino," literally "of the stars." There's so much nuance possible in Japanese, and I'm glad to see Sakurai-san and co. at Nintendo pouring so much care into this game. @cowntsikin If you played the Bayonetta games you'll be aware those witches are severely susceptible to having their souls imprisoned. @Tyranexx @BensonUii It was from the YouTube comment section of the World of Light trailer. I read it too. @MeloMan Masahiro Sakurai just Thanos-ed everyone except Kirby which kinda makes sense if you believe the fine folks over at ScrewAttack. I thought Blowout Blast was the perfect way to do 3D Kirby. @Audigore0733 First one; he very clearly bites the dust. @TF-Warrior Thought it sounded familiar. @Audigore0733 I don't think they will but they could be hidden characters like in Subspace Emissary. @kopaka Yeeees, same here! Smash usually ignores canon power levels but this worked out great. Only other characters that may have been able to escape was Super Sonic (not present and also not as strong as Archie Super Sonic) and Metaknight, but he didn't have a warp star to escape on. @JayPley but the Japanese song is like a bad anime opening, and the English translation feels so forced and her voice is so flat and undynamic and the lyrics are just stuffed in to fit the notes and timing and the translation itself has no actual meaning beyond what you might interpret them to be, but really they're not about anything. Vague, nebulous something-bad-happening and super tropey "ahhhh everyone work together to secure our destinies!!1!"